Expect toned legs by the end of your visit to this ancient fishing village in North Devon. Clovelly is built into the cleft of a 400-foot-high cliff and the only access is by foot. 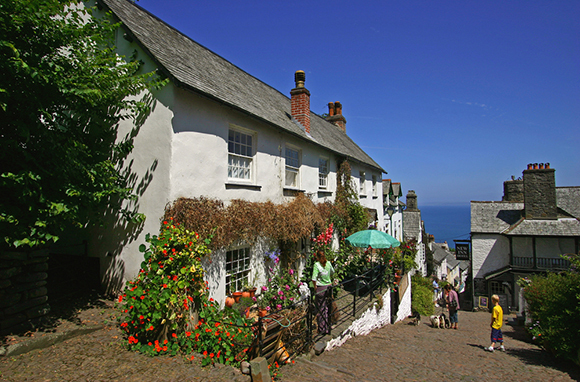 The main road (made from beach stones) winds down to the sea, past cute cottages and side alleys with little chapels, gardens, and tearooms set with Devon cream tea. For centuries, donkeys were the main form of transport, carrying goods up the hill. Today, you'll still hear the occasional clip-clop delivery of luggage to the New Inn Hotel, but most donkeys retired in the 1990s to Clovelly's meadows and forests. Places We Love: See breathtaking views from cliff-top trails, Mount Pleasant's grassy knoll, or The Look Out, where villagers watched for their fishermen to return home safely. For less than $160 per night, at the 18th-century Red Lion Hotel you can wake to the sounds of a working port and dine on fresh seafood. On the island of Majorca, Deia's stone homes and buildings that predate the Middle Ages sit atop a mountain overlooking the Mediterranean. Most residents are fishermen or farmers who work the land on steep, terraced cliffs. Artists and musicians inspired by views of mountains, the sea, and olive groves have also settled here. 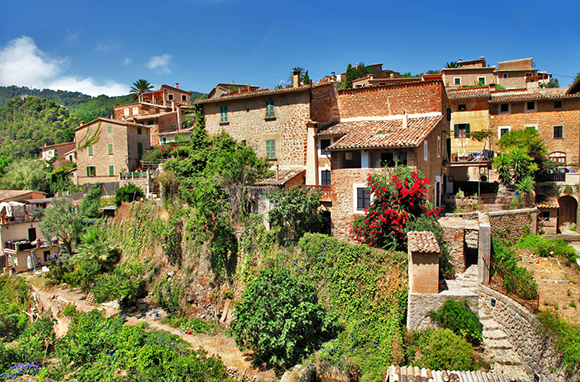 Deia (also spelled Deya) is a place that takes you back to a simpler time. Climb to one of the village's highest points to see the 15th-century parish church and its museum. Visit the town's archaeological museum, or dine by candlelight in one of many buildings constructed centuries ago by the Moors. Places We Love: Scooped out of Majorca's rocky north coastline, Cala Deia is a hidden cove where you can watch boats come and go or swim in the crystal-clear waters. Book a few nights at Hotel Es Moli, a 17th-century mansion and four-star hotel, or stay at the 10-room Hostal Villaverde if you're on a budget. The New England village of Woodstock, Vermont, is a sweet slice of Americana. 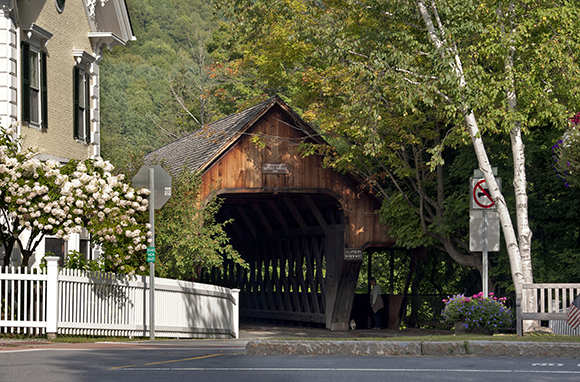 Grand 19th-century homes encircle the village green, and a short walk leads across one of the town's three covered bridges to a quiet park. In downtown's historical brick buildings, mom-and-pop businesses still thrive: independent bookstores, a 125-year-old general store, art galleries, antique shops, and little cafes with local organic offerings. The rolling countryside is dotted with picturesque dairy farms where you can milk a cow or sample cheeses and live slowly, if only for a weekend. Places We Love: At Billings Farm & Museum, a working dairy farm and indoor/outdoor museum on a Rockefeller Estate, you can meet the Jersey herd and learn about farm life in the 1800s. You'll find several local restaurants with farm-to-table experiences, and the Italian Osteria Pane e Salute, a tiny place with only a few tables, is a favorite. Las Vegas' Bellagio embodies opulence and exclusivity, but even that pales in comparison with its Italian namesake village. Since the Roman era, Italy's Bellagio on Lake Como has entertained the rich and famous: wealthy aristocrats, famous writers, and celebs including George Clooney. 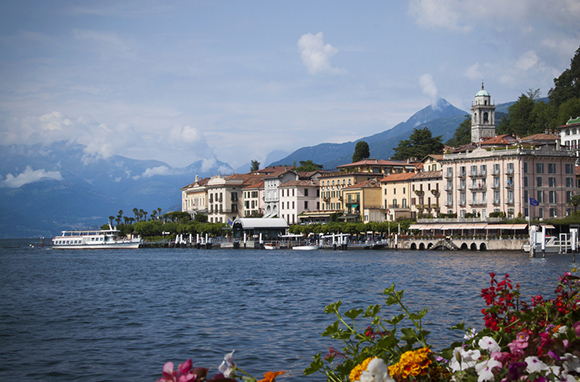 Tour Bellagio's Melzi Villa, where Napoleon once stayed, or get out on a kayak with a Bellagio Water Sports guide to experience local architecture from another perspective. Then climb the steep stone stairways from the lake to winding streets with little shops, lakeside restaurants, and cafes serving glasses of sparkling Prosecco. Places We Love: Fans of James Bond will recognize that scenes from Casino Royale were shot at Villa del Balbianello, a quick jaunt from Bellagio by ferry. The nearby Villa Carlotta was built in 1690 but took on its current name in 1848, when a Prussian princess received it as a wedding gift upon her marriage to the Duke of Saxony-Meiningen. 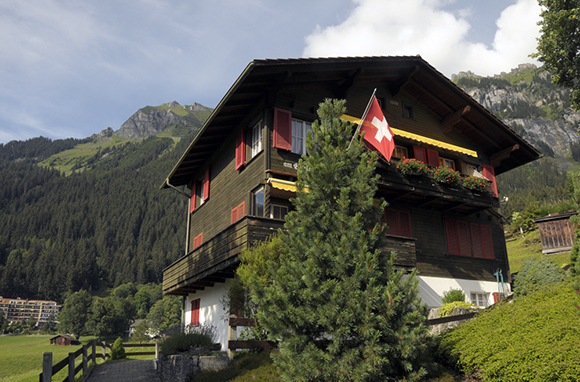 Wengen is everything you dream of in a classic Swiss alpine ski resort. Mountainside chalet restaurants serve fondue. Parka-clad sun lovers sip warm drinks at outdoor cafe tables on snow. The magnificent views are inescapable. And no cars are allowed; they're left behind in Lauterbrunnen, where visitors catch the train to Wengen. High in the Bernese Oberland, Wengen is known for hosting Ski World Cup events every January on its long, steep slopes. Non-skiers can go tobogganing on the region's 62 miles of runs or skate on an outdoor rink before warming up around a chalet fireplace. Places We Love: The Mannlichen Aerial Cableway transports you to easy walking trails after spoiling you with views of three mountain summits. Ride a mountain train to Jungfraujoch, Europe's highest train station, and walk on a glacier or see the Ice Palace. High on a rocky plateau in the Alpilles mountain range, Provence's Les Baux offers a glimpse of life when medieval troubadours and minstrels dueled in chivalrous verse to woo young ladies in the castle courts. 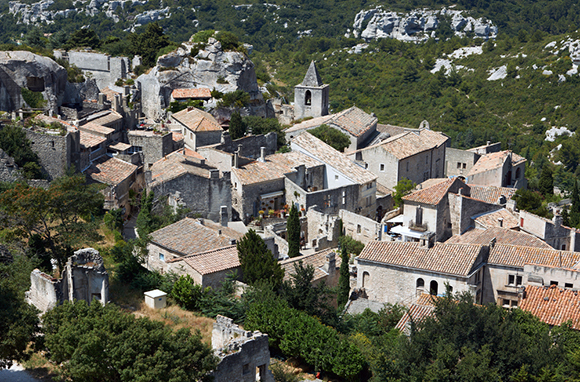 Find your way along the pedestrian village's narrow cobblestone streets to the ruins of the Chateau des Baux, carved directly out of a rocky ledge. Shops and cafes are tucked into little hideaways throughout the village, and private 16th- and 17th-century mansions are now art galleries and museums. Don't miss the chance to sample fresh olive oil, cracked olives, and black olives from groves in the valley below. Places We Love: At Chateau des Baux, learn the tumultuous history of the lords and their fortress, visit the keep, and hear about the "courts of love" ballads. Nearby, Carrieres de Lumieres is an audiovisual marvel where masterpieces of French artists are sumptuously projected across rock-quarry walls and floors. 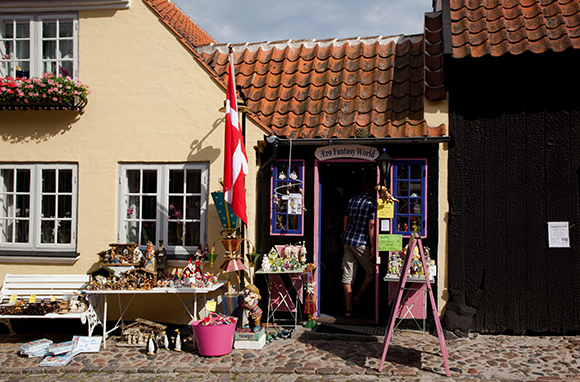 ÃrÃ¸skÃ¸bing, an old shipping village on the charming island of Ærø, is like a faraway fairy-tale land. You can't help but feel a surge of innocence and wonder at the sight of gingerbread-style houses around every turn. Many Ærøskøbing homes were built at the end of the 1700s, and, because of locals' conservatism and respect for architectural heritage, the entire town has been preserved. Places We Love: Hit the beach (Vester Strand) to see the Lilliputian beach houses, or rent a bike and go island hopping in the archipelago. At the very least, pedal a bike alongside peaceful farmlands to the sea then back to town to the Bottle Peter Museum for a squinty look at hundreds of bottled ships created by one man. Drop in for coffee or cake at Loulou's Cafe, which doubles as a walk-in wedding bureau. It's 1,052 steps up a stone staircase to the top of this medieval village on a hill, and the higher you climb, the older it gets. 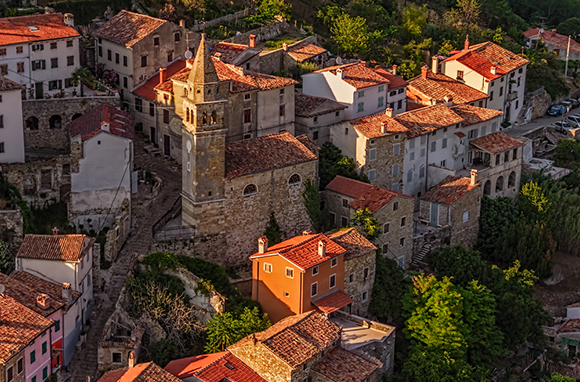 Overlooking the Mirna River valley in northern Istria, Motovun dates to the Middle Ages, and evidence of its past is everywhere. You can walk along the original 13th-century town walls, passing by palaces and small churches en route to the bell tower that crowns the village. From here, you'll have a panoramic view of the vineyards below. The truffles that grow in the surrounding forests are a prized feature (with aphrodisiac effects) on Motovun restaurant menus. In summer, don't miss the film festival. 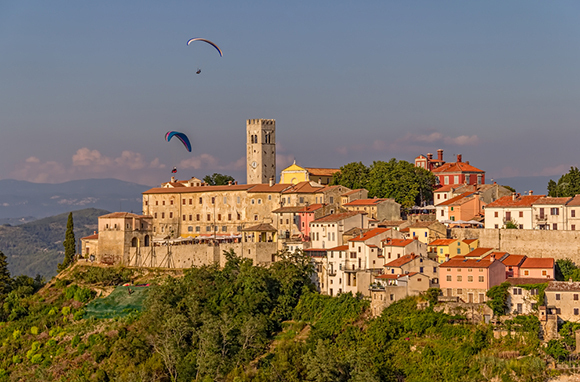 Places We Love: The walls of the main city gate are hung with Roman tombstones, and a museum inside the gates houses antique artillery and art. Within walking distance, Pod Voltom restaurant incorporates either black or white truffles in dishes that you can enjoy from a table on the terrace. In Quebec, a scenic hour-and-a-half drive east of Montreal brings you to this Lake Massawippi village that could easily be mistaken for a quaint spot in France. If the sound of locals speaking French doesn't charm you, North Hatley's picturesque churches, century-old homes, and quaint boutiques will. Do as the locals do: Sip coffee or wine and dine at one of the Eastern Townships' 16 little cafes de village, a concept patterned after the bistros in France. 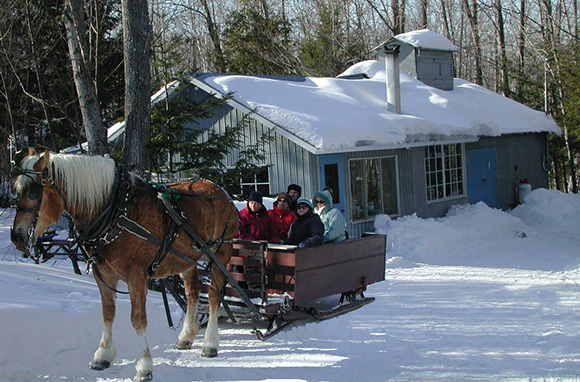 In winter, stop at a sugar shack for maple toffee after a sleigh ride through the forest or skiing the surrounding mountains. Places We Love: The historic Manoir Hovey, named among TripAdvisor Travelers' Choice Top 25 Luxury Hotels in Canada, is pricey, but you can lunch here without breaking the bank. Auberge La Chocolatierie is an affordable inn, and breakfast is served with a house-made chocolate drizzle. Try the to-die-for carrot cake at Saveurs et Gourmandises on the cafes de village trail. On a peninsula where legends and myths abound, this pretty little coastal town is a magical place surrounded by several shades of emerald-green mountains. 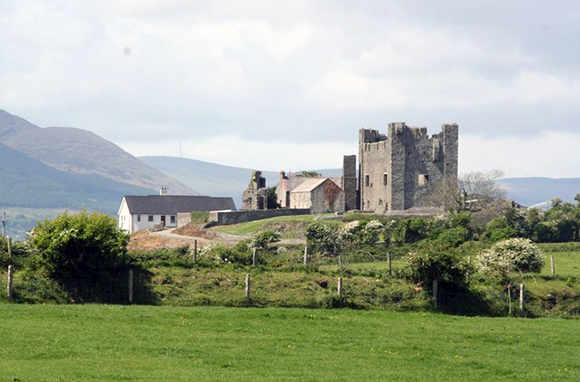 In Carlingford, just over an hour's drive north of Dublin, you'll hear about Viking invasions and see remnants of medieval times along cobbled streets. Tour the old friary, the mint, and the ruins of King John's Castle at the edge of the village's glassy lough. You can get cozy by the fire in a traditional Irish pub or browse shops in pedestrian-friendly lanes. Places We Love: After a day of hiking or horseback riding, try fresh, local oysters served three different ways at The Oystercatcher Bistro. Ghan House, built in 1727, is one of the country's oldest private Georgian homes. Views of the mountains and lough from the restaurant are stunning. Raise a glass of Guinness at PJ O'Hares, a lively stone-floor pub with live music and "evidence" of leprechauns.